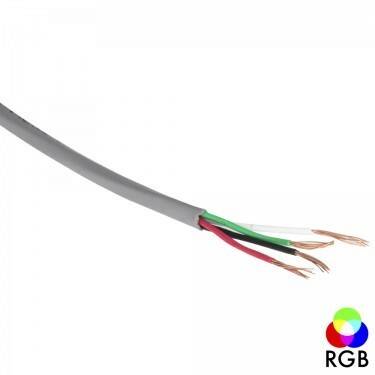 Chroma RGB 4-zone wall dimmer is used with the T-C-RGB180 Croma Receiver for wireless control of the RGB Inferno Ribbon Tape Lighting. 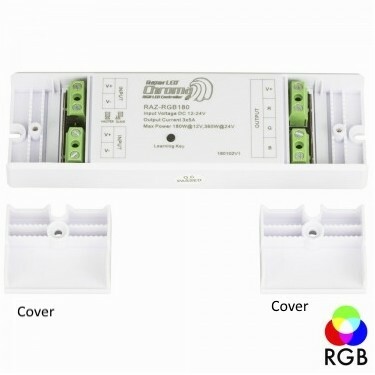 Up to 4 lighting zones can be controlled from this wireless wall unit. For example, 3 lighting zones can have separate dimming control and on/off control. A 4th button could be set up for the 3 zones controlling on/off and dimming of all the zones.